Recently honoured as #8 on the “100 Favorite Travel Writers” list at: http://www.tripbase.com/d/travel-writers/index.html. Doreen Pendgracs has been a freelance writer and author since 1993. She has written dozens of articles that have appeared in numerous periodicals and websites. Doreen has co-authored two books: the 1st edition of Frommer’s Newfoundland & Labrador (published by Wiley in 2004) and the Manitoba Book of Everything (a Canadian bestseller published by MacIntyre Purcell in 2008.) In 2010, Doreen released her first solo effort: “Before You Say Yes …” a guide for anyone volunteering on a non-profit board or committee (published by Dundurn Press of Toronto, Canada.) Read more about Doreen’s books and articles on her website at: http://www.wizardofwords.net/. Doreen also has a blog that features her musings about life and the challenges of being a writer at: http://doreenisthewizardofwords.blogspot.com/. 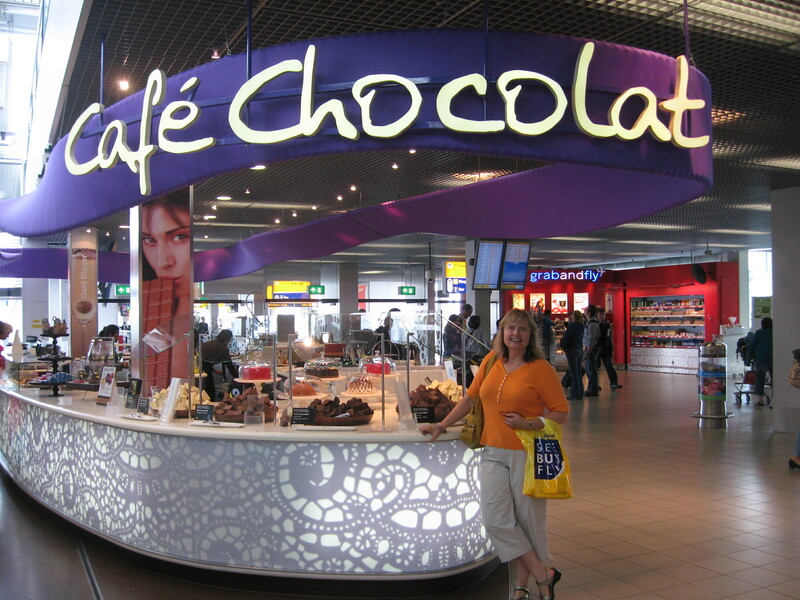 Doreen is presently writing, Chocolatour, a book about chocolate and travel. Watch for it in 2012. And to satisfy your chocolate cravings while you’re waiting, subscribe to “Chocolatour News,” Doreen’s chocolate li-paper, an online collection of tweets by the most influential chocolate makers, chocolate lovers and chocolate service providers and events organizers around the globe at http://paper.li/wizardofwords/1310439305. Thanks for dropping into the blog. I hope you’ll enjoy the postings. Thanks, Adrian. It would be my pleasure. I’ll contact you by e-mail. Thanks for dropping into the blog, and do come by again soon as we’ll be having several more posts about Italy. Hi Doreen! I am loving the blog, and the chocolate!! Must go search the cabin for chocolate!! Thanks, Lori! It’s great to have you join us! The more Manitobans, the better! Although the focus of the blog is travel in search of the best chocolate, I’ll always bring it home and highlight something special in our province from time to time. While traveling to Paris last week, I wanted to purchase and taste French chocolate and of course bring some home for my chocolate loving friends and family. I decided that I would rather wander the streets of Paris to discover a specialty store that would be fresh rather than purchase it in a department store as Au Printemps or Layafalette. While walking through the streets of beautiful Paris, I walked into La Maison Du Chocolat with a couple of friends and the Retailer gave us all samples of chocolate macaroons which were creamy, rich and out of this world. I had purchased a whole box of those delicious treats at another store that my mother in law had insisted I go and bring some back for her. I should have bought some for myself as well but instead picked up some random chocolate at La Maison Du Chocolate. Chocolate in Paris is astronomical in price and not finer than Belgian or Swiss chocolate. Except for those macarons which I truly do not know how to spell or pronounce, French chocolate was fair to my pallete. Back in Montreal, I purchased Baking chocolate from France to make some yummy brownies. I will let you know if it lives up to standards of chocolate from Belgium and even Montreal. Thanks for sharing your thoughts on French chocolate, Bonnie. It really IS about finding the chocolate that is just right for you. That’s what I hope to do in my book, “Chocolatour,” so do stay tuned. It’s unfortunate you didn’t encounter a Puyricard shop as it really is very fine chocolate. And yes, the French macaroons are exquisite. So many dreamy flavours. I loved them all!